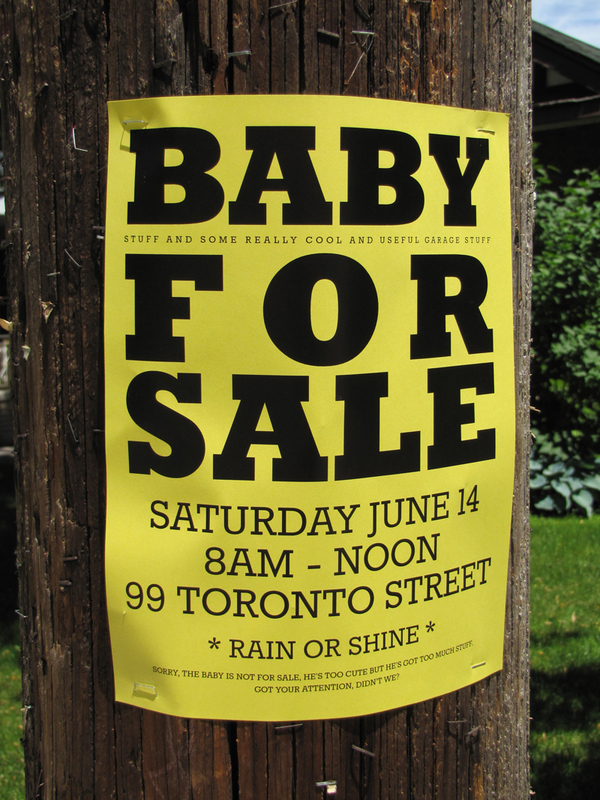 Organizing a Street Sale is no small feat, so naturally, it helps if you’ve got pros on your team that can make this happen! 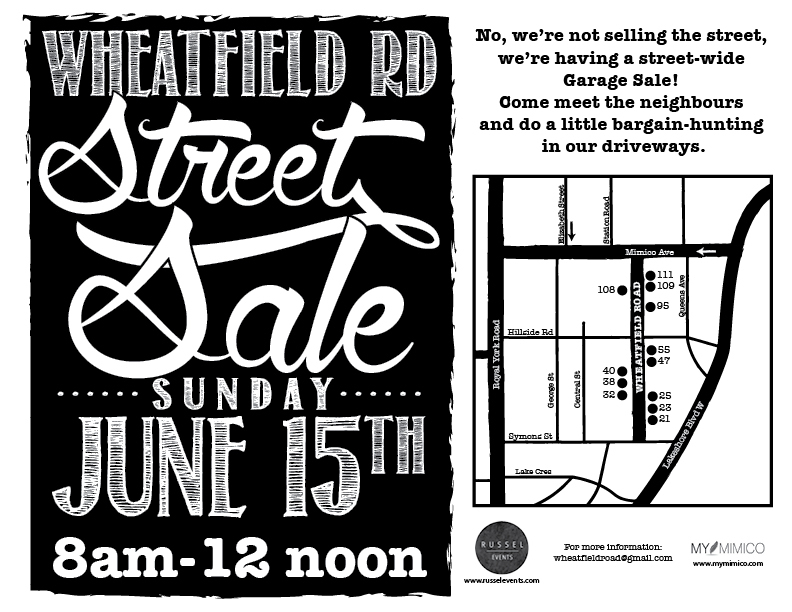 Luckily, our street boasts a slew of work-at-home professionals, including a top-notch event planner and real estate agent who spear-headed this project and made the First Annual Wheatfield Rd Street Sale a great event! Tara Russel of Russel Events and Adrian Coimbra were the driving force behind the event, getting neighbours thinking and talking about it as early as December, putting the word out to local newspapers, social media and the BIA, and not to mention putting up posters on telephone poles – the old-fashioned way! Throw in a graphic designer for some free design services (ahem… that would be me) and we branded the event with some eye-catching graphics to get everyone excited. There were 12 confirmed households well before the date of the Street Sale which gave us solid participation in the event and attracted the attention of serious garage sale shoppers. The day of, even more households jumped on the bandwagon and brought out tables full of goods, bringing the total participation up to about 20 homes. The kids had a great time too, with face-painting and balloon animals to keep them entertained, and some of our little ones honed their entrepreneurial skills by selling lemonade, baked goods and even artwork. What a great opportunity to teach our kids the valuable life lesson of earning something, and with so many parents shopping the sale, there was great encouragement from neighbours and shoppers as well. Thanks to everyone who made an investment in Symon’s art, I hope Clumsy Ninja is enjoying his new home!